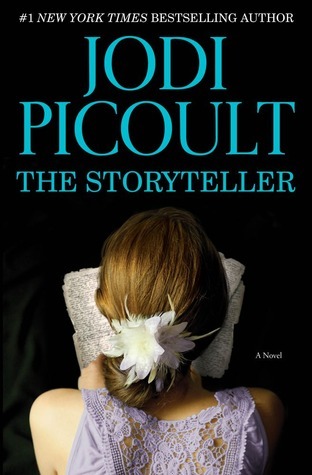 The Storyteller by Jodi Picoult hooked me from the beginning. Sage, the grand-daughter of Minka, a Holocaust survivor, befriends an old man in a grief group. Sage is battling guilt of her own when she meets 95 year old Josef, who is dealing with his own demons. When he confesses he was a Nazi war criminal in his previous life, she is torn between helping him die as he requests, or turning him in to the FBI. Her real struggle, of course, is dealing with her own ideas of guilt, forgiveness, and moving on with life. I loved the alternating narration from the different characters, the voices from the past, as well as the interweaving of Minka’s vampire story told by her character, Ania. Coming from the standpoint of an author, I can’t imagine what kind of planning, research, and editing this book required to achieve this flawless final product. My favorite aspect of this book was the allegory of the vampire story-within-the-story, which attempted to work out the complicated moral issues of Aleks, the vampire, who was evil, not by his own choice, but because of circumstances which paralleled Josef’s life experiences. The almost supernatural way, Minka, recognized these issues when everything in her experience should have closed her off to these nuances of character dilemmas, and how she incorporated them into her story almost unconsciously was a nice touch. However, the suggestion that Aleks could not help his murderous instincts, and relating this to boys who were recruited by the Nazis being conditioned to become killers against their wills, was a disturbing, and I’m not sure fair, comparison. I also liked how the detailed description of the baking of bread was a metaphor for life, love, and even death. The love Minka’s father exhibited in his careful baking for Minka, how he fed the community, the community’s soul-starvation when he is gone, despite the presence of other food, the actual physical need for bread as sustenance, paralleled with Sage’s own drive to express what is going on in her heart and soul with her baking all serve as a beautiful, and at times subliminal, undercurrent of meaning in the story. Minka’s narrative section in the novel was difficult to read. It took me a long time to get through it because it was so well-told and intense that I had to take frequent breaks from it. Picoult does, however, handle this narrative with sensitivity, insight, and respect. The plot twists are done smoothly and can be predicted if the reader is paying attention, but are no less satisfying in the end.